“Fast & Furious 7” has already generated $250 million in its first eight days in China, after grossing nearly $70 million on opening day alone, according to Box Office Mojo. If box office sales continue to pop, “Furious 7” will set a new sales record for Hollywood films in China, topping “Transformers: Age of Extinction,” which grossed $320 million. 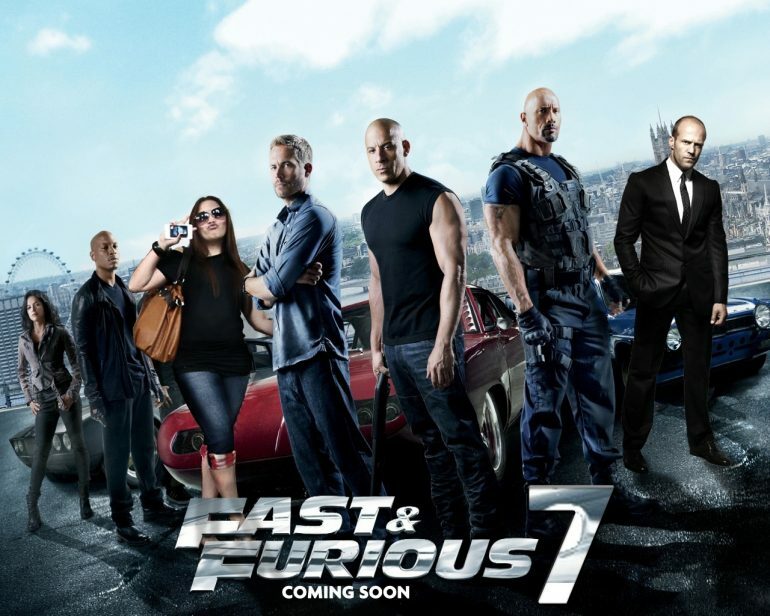 Starring Vin Diesel, Dwayne “The Rock” Johnson and Paul Walker, who died during production, “Furious 7” has already grossed a total of $858.3 million at the international box office, the seventh-best performance in history. Only two films — Titanic and Avatar — have surpassed the $1 billion mark. In China, “Furious 7” was shown on a record 5,454 screens, boosting box office sales. China Film Group Co., which wields tremendous power in the domestic film industry, also has a small stake in the movie, according to the Wall Street Journal. For Hollywood, closer coordination with China is not just about securing cash — the industry sees huge potential in the country. China is the world’s second-largest movie market and it’s growing quickly, adding roughly 1,000 new cinemas last year. Still, China remains a tricky place for Hollywood to do business. Chinese regulators allow only 34 foreign films to be shown in theaters each year, severely limiting access to the latest U.S. blockbusters. Approved films still face the heavy hand of government censors, who cut anything the Communist Party considers offensive or subversive.